The encounter between mankind and earth: an intimate pact living birth to the products of our history. La Dragona is a very small farm with around 6 hectares, all farmed. 1,5 hectares are vineyards, all the rest is for olive trees (more or less 300 plants). 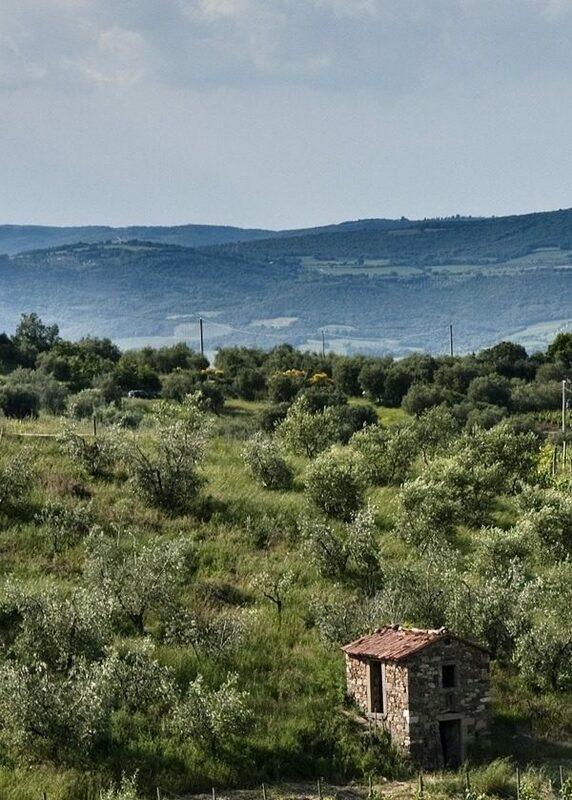 The extravirgin Olive oil produced at La Dragona, comes from trees of Olivastra Seggianese by 90%. This type of olive is recognised IGP, as it is an autochthonous cultivar of Amiata mount, that is exclusively located in the regions of the municipalities of Arcidosso, Castel del Piano, Seggiano, Cinigiano, Santa Fiora, Roccalbegna, Semproniano and part of the municipality of Castell’Azzara. Particularly hard-wearing and wild, this variety of Olive covers the precincts with seculars olive trees that resist up to 600 meters over the level of the sea. This specific type of tree produces an olive oil with unique aromatic nueances and a peculiar taste, typical of “mountain olive tree”, enriched by the specific notes of this terroir. Amiata mount is in facts an extinguished volcan and represents one of the most interesting massifs in Italy from both a geological and naturalistic point of view. Its sides are covered by forests of beeches, chestnuts and firs. It is a real green lung for the whole southern Toscany. This soil transfers nutritional and curative properties to the oil produced here, that is reach in vitamin E and antioxidant substances. Terra Dragona’s oil is at the moment dedicate to private usage or tastings at the Agriturismo Casa Dragona.